When you’re preparing for baby’s arrival, it’s easy to become overwhelmed by the huge amount of equipment and supplies you’re going to need. There’s no denying having a baby is expensive, but you’d be surprised how much money parents spend that they really don’t need to. It’s easy to spend more money than you have to when you’re bombarded with “must-have” baby accessories. If you’re a first-time parent the sheer number of products out there can be overwhelming and it’s difficult to know what you do and don’t need. To make it easier and to ensure you don’t waste money on things you simply don’t need, below we’ll look at the top items you should splurge on and where you can save money. Crib Mattress – The crib is an obvious item you’ll want to splurge on, but don’t forget about the mattress. Did you know for example, that using a second-hand mattress could increase your baby’s risk of SIDS (Sudden Infant Death Syndrome)? This is because depending upon how the mattress has been stored, they can develop issues with damp and they’ll also potentially have built-up dirt which can be harmful for your little one. If you’re choosing a new mattress, it’s also important to ensure it is firm and boasts a very high quality. Don’t forget baby is going to be spending a lot of time on the mattress, so it needs to be made from exceptional quality materials to ensure it’s both comfortable and it lasts. Stroller – The number of different types of strollers on the market can be overwhelming. Each has their own unique features and benefits to suit every kind of lifestyle. Therefore, it’s important to take your time to ensure you’re choosing one that best fits your needs. Regardless of which type of stroller you choose to buy, the one thing you need to focus on is quality. This is something that you’re going to be using pretty much on a regular basis so obviously it’s going to need to be built to last. A poor-quality stroller will wear out quickly and it’ll also prove difficult to maneuver and put together. So, when it comes to choosing a stroller, it’s definitely worth paying more. Car Seat – When it comes to choosing a car seat, safety should always be your main concern. While you may be tempted to save money and opt for a used car seat, unless you know the person you’re buying from it’s better to buy brand new. This is because you’ll have no idea how the car seat has been handled, whether it’s been involved in an accident and how clean it’s been kept. All of these factors can impact just how safe the seat is to use. The best tip to follow when choosing a car seat is to opt for the most expensive one you can actually afford. Ideally, you’ll want to look for one that has an ISOFIX system too. The comfier and safer the car seat is, the more reassurance you’ll have when you’re driving with baby in the back. Breast Pump – If you’re breastfeeding and you need to express milk, you’re going to need a good breast pump. Now, it sounds like a pretty easy decision to make as surely all breast pumps are pretty much the same? Wrong! Just like any baby product, there’s literally hundreds of different pumps to choose from. If you’re only planning on expressing enough milk to make up the odd bottle, you could get away with using a manual pump. However, electric models are the better option as not only are they quicker, but they’re also smoother to use. Moms who are going back to work and plan on breastfeeding, will find it best to buy a double electric pump so both breasts can be expressed at the same time. So, why should you spend more on a breast pump? Well, the cheaper models tend to be poorly-made and can make the pumping experience uncomfortable and even painful. They can also be really difficult to use. So, it’s definitely worth spending as much money as you can on the best quality breast pump you can find. Baby Carrier – A high-quality baby carrier can make a massive difference during the early stages with your little one. Enabling you to keep baby close by while freeing up your hands to take care of important tasks, a baby carrier is a worthwhile investment that you definitely shouldn’t scrimp on. As baby will be using the carrier regularly, you’re going to need to make sure it’s comfortable, easy to carry and created from exceptional quality materials. The higher-end models tend to come with a lot of useful extras too so like the other items on the list, try to spend as much as you can afford on a top-quality carrier. Blackout Blinds – Another essential purchase, blackout blinds can literally save your sanity. When you’re trying to get baby to sleep during the day, if it’s light outside it can be confusing for your little one. Blackout blinds help to keep the room dark, making it easier for baby to relax and fall asleep. Not all blackout blinds block out the sun as much as they should. So, be sure to spend a good amount of money on high-quality blackout blinds for best results. What Items Should You Save On? Baby Bath – It’s surprising just how many baby baths are available on the market. Some boast some pretty elaborate features too. However, initially, babies don’t need that many baths so spending a fortune on a specialized baby bath is simply a waste of money. It’s also just as effective to use a plastic bowl or to place a foam bath support into your main bath and it’s so much cheaper! Bouncer – Babies love to bounce! But did you know they have much more fun on a soft, manual bouncer complete with colorful dangling toys? So, forget about spending a fortune on those plug-in bouncers and opt for a manual, cheaper one instead. High Chair – While a high chair is an essential, it’s one piece of equipment you don’t have to splurge on. Think about it – the chair is largely going to get very messy several times a day. It’s simply a safe place to feed baby while you all sit together. So, all you really need is a model with a removable tray so it’s easy to keep clean, and clean, simple legs which don’t take up too much floor space. Just make sure it’s durable. Changing Bag – It’s amazing how many moms spend hundreds of dollars on a changing bag. Yes, you’re using it while you’re out with baby, but that doesn’t mean you should splurge on a designer bag. You can still buy stylish changing bags at just a fraction of the cost of a designer one. So, there you have it – the top items you should splurge on and where you should cut back. Of course, it’s all down to personal preference, but the above can be used as a guide for those looking for a general idea of where they should and shouldn’t be saving money. What items did you splurge on and did you regret it? Let us know below! This is so useful!! Having a baby is so expensive and it’s really easy to spend more than you actually need to. Yes, it’s true, Alaina. Sometimes parents become so excited with the coming baby that they tend to splurge on some things. I would say, parents should make a checklist of what a baby needs, and which ones are the priority. This way, they get to save and buy only what the baby really needs. I think that this is a perfect article for any parent. Let’s face it, we all want to save some money because kids can be quite costly… all the toys, education, equipment, clothes and more. We all need to save whenever we can. Me and my husband did so when I got pregnant the first time. When our boy was born we just looked for the not so expensive options even though we had a good income. Luckily, we can find many different things nowadays and we aren’t limited to only a few specific items. True, Jane. I’m sure most people love the savings on purchases. I think it’s important for parents to remember that a baby needs a lot of things as he/she grows up so they should prepare for the more important ones. The baby wouldn’t care if he/she is not wearing expensive clothing; a comfortable clothing should be the main consideration and that there are brands that can be bought at reasonable prices. One of the best articles I’ve seen so far. Every parent needs to save money for they’re toddler because he can be quite costly. This will for sure save me some money because we have a regular income. As kids grow up, their needs and expenses for these needs also pile up. It’s important to remind parents that they should save for the more important things their child needs like health insurance, college education, etc. Great post! I just had my first child last July . I made the mistake of splurging on a bath. It was totally unnecessary. It’s the same with our changing bag. We definitely could’ve spent less and been just as happy. However, I have to say we used one of those plug-in bouncers/swings and that was totally worth the money for the first four months or so. My friend just had her fourth child and never had one of the plug-in ones. She loves it and wishes she’d had one for all of her kids. Another great way to save money is Amazon Prime! Congratulation on your new baby, mwhitty123! One always becomes satisfied if a purchase made is totally worth the money. This is why it’s always best to plan on the things one needs to buy for a baby to avoid overspending. As for your bath and changing bag, hopefully, you can use them again in the future so you don’t have to spend for things like those again when needed. Here in India hand me downs is considered a privilege in that the earlier babies’ items in the family are careful stored and passed on to the next baby. This way one saves money as also takes care of emotions that are centred round. Wow! That is a really nice perspective about hand me downs. I love it! It becomes something with a sentimental value, a privilege, and it’s very cost-saving, too. Thumbs up! I recently had a baby boy. During the nine months pregnancy, every time when I saw my wife’s bulging tummy, I was ovwewhelmed. I started buying her plus size clothes, flat sole shoes and flip-flops, foods rich with iron and calcium. When delievery date was near, I was over whelmed more. I started buying diapers, baby clothes, baby toiletries, wipes etc. When the baby was born, I understood, I needed more items than I have actually bought. I needed a breast pump because milk was not running from the breasts. I also needed feeding cup, because the baby did not suckle his mother’s breast. Some of the items that I bought were not necessary. I wish I had bought washable diapers instead of disposable ones. I agree on most of the items to “splurge” on. A crib mattress specifically. Most cribs these days are convertible – they will reassemble into toddler beds and some, even a double bed. The toddler bed requires the use of a crib sized mattress anyway so you could be keeping the same child from infant all the way through to a 3 or 4 year old on the same mattress. I made sure that if my mattress was not a vinyl covered one (which is pretty handy for wiping down after messes) to at least cover it with a mattress protector. I don’t agree on spending lots on black out blinds. If you’re on a strict budget, covering windows in tinfoil works just as well. Also most towns have local buy and sell groups (I find lots of these on social media sites) and this is a great way to get good quality items second hand at reasonable prices. Thank you for this tips concerning about practical spending for babies’ accessories. We must think about the need of the baby not those we want for them. Sometime parents are being impulsive buyers for accessories of their babies even though it it the the immediate or primary need of a baby. Save lot of money for your babies’ future rather spending lots of dollar for different kinds of cribs, lots of shoes and whatsoever staff. Be wise in spending your money. Like what the bible says; “if you lack for wisdom then ask for the Lord to give you wisdom.” This is what parents need for their family. Wow! 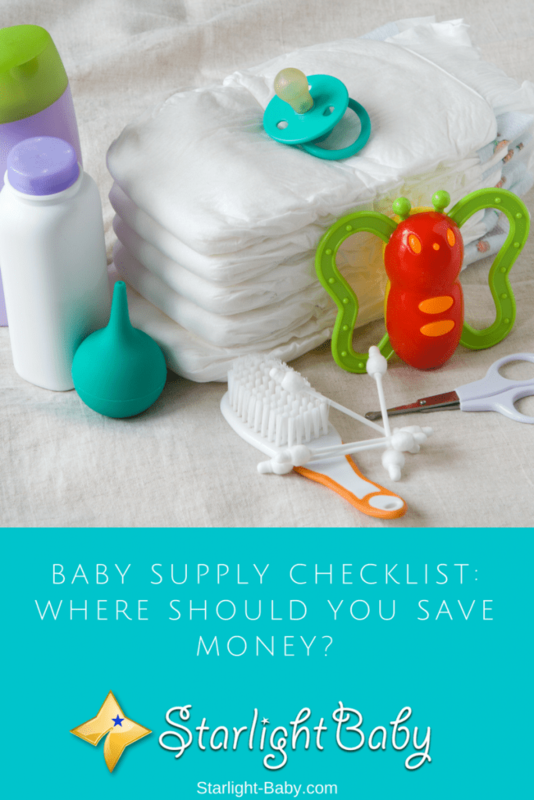 The list is simply amazing in the sense that it would help nursing mothers and those that are pregnant and almost due to deliver to know the items that they would be needing in order not to waste money on baby items that are not that too important for babysitting. I must say that I feel the pain to read your first point about crib mattress for it is because of trying to save money that my mother lost my late brother that was just 7 months then. I know better and won’t allow my wife make such mistakes as well in the future. I won’t be saving money and put my babies health at risk. It is just stupidity. Thank you once more for the article. Definitely, I find these information on what a new parent should spend on and save on is very important, as it’s practically going to ensure that such parent doesn’t waste their hard earned money on stuffs that would be irrelevant for them at the moment. I never knew that making use of an already used crib mattress increases the chances of Sudden Infant Death Syndrome (SIDS). This is very educative in all ramifications as I would be making sure that anyone that I know doesn’t fall victim of such problem.